Fully automated solution for opening any types of orders and managing them, allowing you to focus entirely on trade and not be distracted by additional actions to set them up. 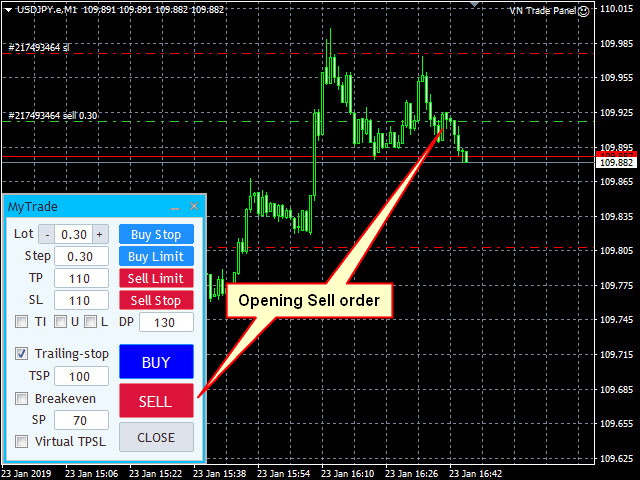 It has a convenient visualized interface and an intuitively clear control, thanks to which trading is carried out literally in one click: to open the desired type of order, you only need to press the corresponding button and all set parameters will be applied to it automatically. 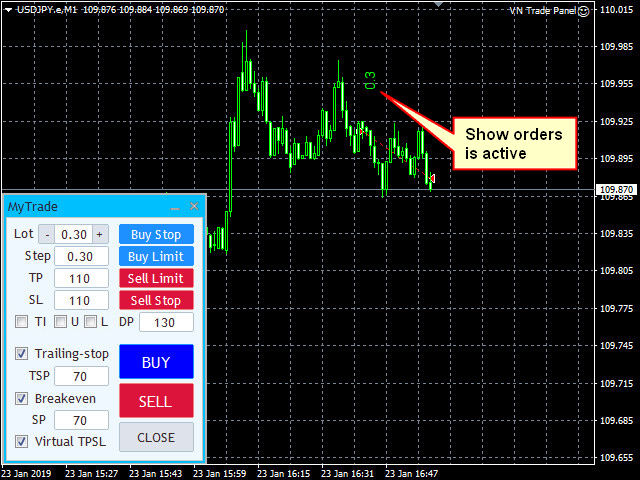 To work with open orders, the breakeven and trailing stop functions are provided. 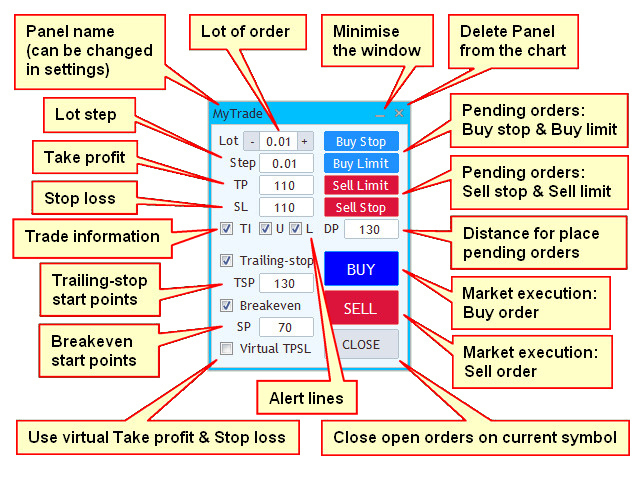 It is possible to change the appearance of take profit and stop loss levels from normal to virtual and vice versa. 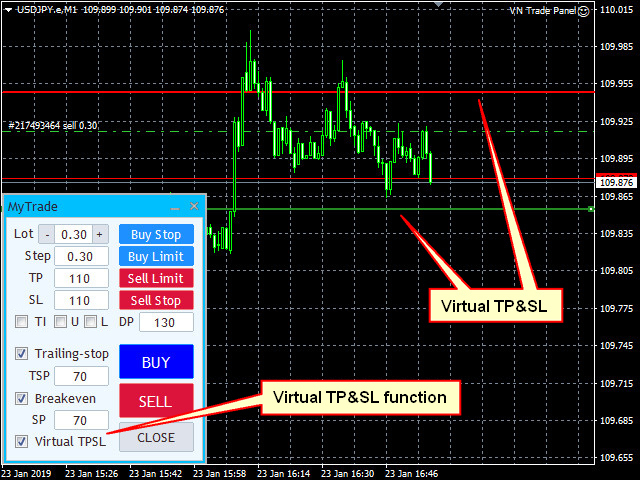 Virtual - means that take profit and stop loss are installed only on your terminal and are not visible to the broker. Improved playback of the sounds of pressing buttons with the identified features of the terminal. 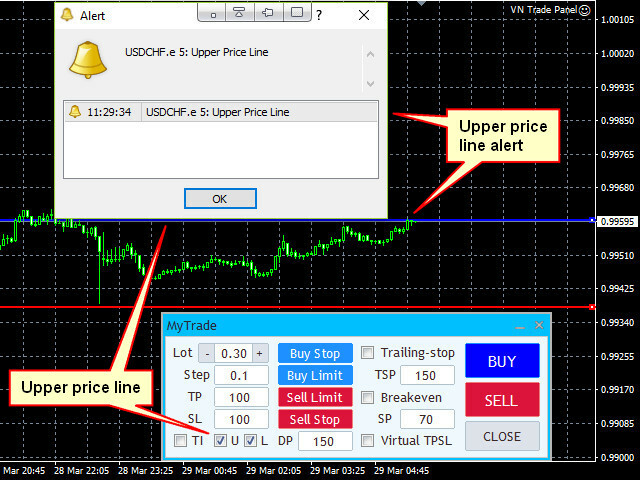 Added a dialog box that appears when you press the close position button, if both market and pending orders are open on the chart at the same time. Fixed re-drawing of previously closed orders. 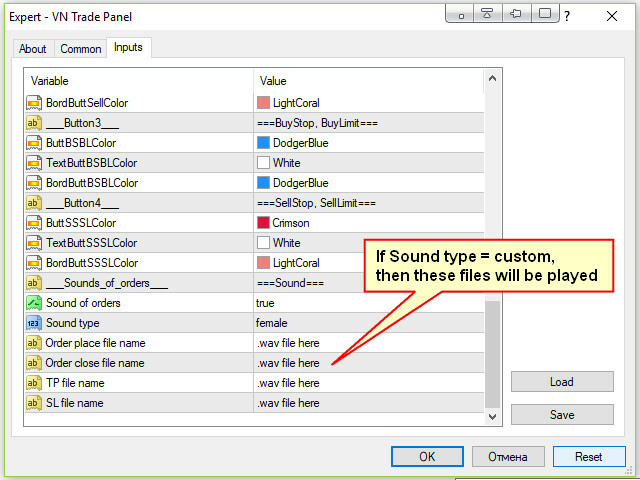 Added a general option to enable / disable order sound in the settings. Fixed skipping of the closing of an order when the value of its profit coincides with the previous one. 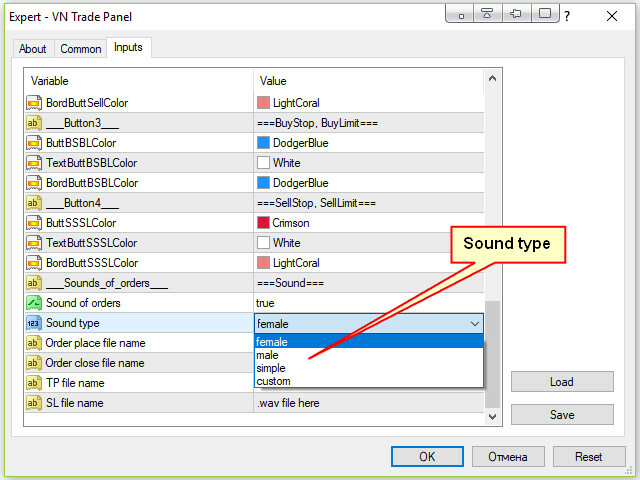 The sounding of the result of the last closed order during the new panel initialization has been removed. Added the ability to select the type of sound to open and close orders. 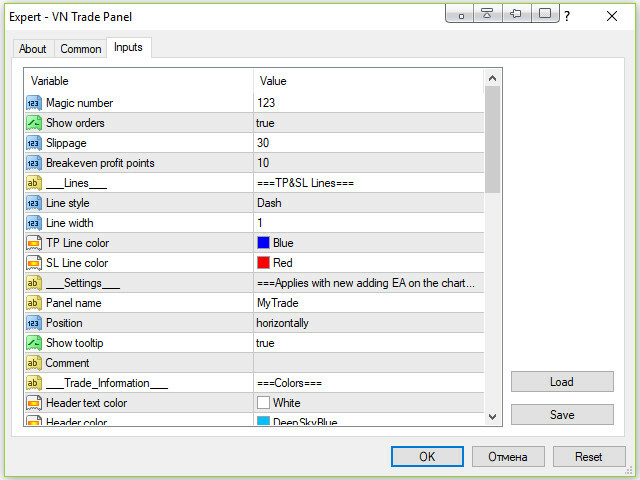 Added the ability to enable / disable the display of the current trading information panel. 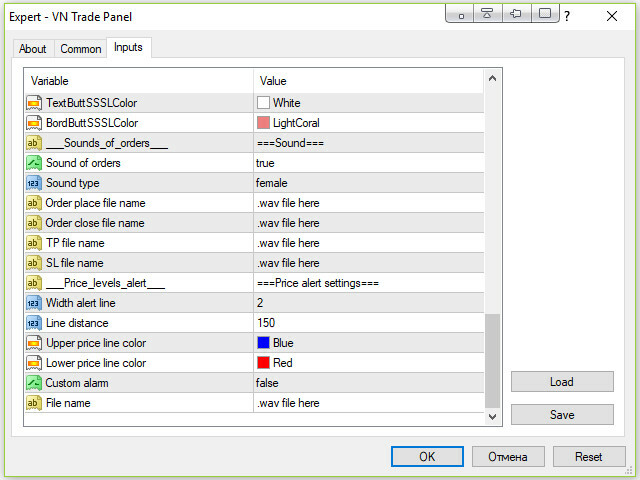 Optimized panel saving in charting templates.